For most people finding the love of your life is something to be shared and celebrated with family and friends. But for some, the reality is much more painful. Tara O’Connor from the Slough Express talks to Matthew about the love of his life, and what happened. 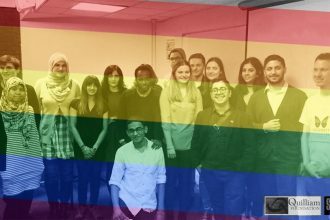 A charity hoping to tackle homophobia triggered by religion was started by Matt Ogston, a website designer who works at an online company in Slough. His 37-year-old fiancé, Naz, took his own life last year just two days after being confronted by his Muslim family about his sexuality. After hiding his sexuality for his whole life in a bid not to upset his family, Naz and Matt’s relationship had to be kept secret. After a simple ‘can I sit here’ from Naz in a club, the couple hit it off, spending 13 happy years together and getting engaged on their 10th anniversary. But while living in Birmingham as a couple, the pair had to keep their relationship to themselves in fear of being found out by the 34-year-old’s family. This included them having to not walk too close together down the street and keeping their curtains closed in the home they shared. In 2004 they moved to Hampstead in London. Here they built a new life where they felt free to be themselves. But on a trip back to Birmingham last July for Eid celebrations, Naz was confronted by his family about his sexuality. Matt said at the time he didn’t know exactly what had been said but remembers Naz, who was a doctor, being withdrawn and quiet when the couple returned to London the following day. Naz jumped from the balcony of their flat on July 30 last year. In the weeks that followed Matt felt he could no longer go on without his ‘soulmate’ and considered taking his own life. But in the depths of his sadness he said he heard Naz’s voice telling him to help others. “Naz was the most important thing in my life, it has still destroyed me,” said Matt. To cope with his loss, Matt set up the Naz and Matt Foundation last year and has gone on to receive letters from people around the world in the same position as his fiancée was. Matt, who is still grieving for his partner, said even simple things such as watching television brings back painful memories of their time together. He has now channelled his feelings into the foundation and is trying to make a positive change. Although he doesn’t ever think Naz’s family will accept the fact he was gay, he has not lost hope. 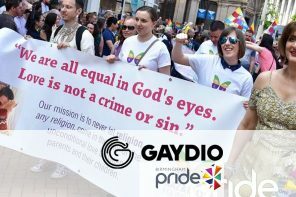 The aim of the charity is to encourage people, particularly religious communities, to accept lesbian, gay bisexual, transgender, queer and intersex (LGBTQI) individuals. 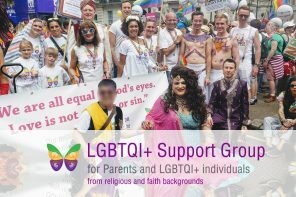 At the moment, Matt’s focus is on the Muslim community but he hopes to engage with people of all faiths to open up discussion and encourage people to be more accepting of their sexuality and gender identity. 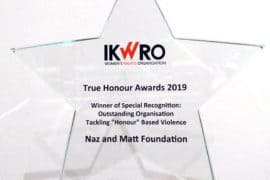 His efforts so far have included a walk from London to Naz’s grave in Birmingham, an event which attracted the attention of the national media, including Sky News, and ensured the foundation became known at home and abroad. Matt has also visited schools to talk about homophobia and hopes the foundation can be used as a sign-posting organisation for LGBTQI people to find support. 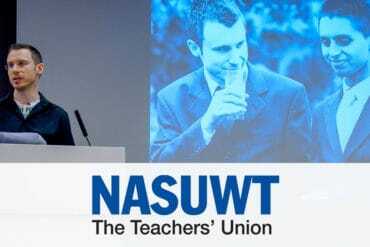 Matt is currently planning on more talks at schools in East London but hopes to bring the foundation to Slough and Windsor in the near future. “He spent his whole life helping other people” added Matt.